In case you don’t know—Geneva is nestled in the bottom left hand corner of Switzerland, bordering NW Italy, and SE France- about 3 hrs from Paris. So you know what that meant… the Frenchies of my life (mom & sis) –made it almost mandatory that I do a day trip to Paris before leaving. I can’t honestly attest to the people/culture, but in my solo dreamlike 24 hour rendezvous with Paris, I can say that there aren’t many words to describe the beauty of their major icons; Eiffel Tower, Notre Dame, etc. That being said, I think it’s only right that I look at my one-day stand holistically- offering my tips and feedback on misconceptions, as well as exactly how YOU can have a one-day stand with Paris if you’re ever close by. – Try your hardest to fit in, don’t be the obnoxious American. Be polite, smart, and just as cautious as you would be in NYC. It’s really NO different. most of them speak another language AND some English- but don’t let that stop you from learning your basic: “hello/goodbye/please/thank you/you’re welcome” etc. it helps! – Men are decently attractive, and as far as I could tell… don’t smell. – Yes LOVE and PDA is everywhere. The whole “I fell in love in Paris” cliché everyone talks about is legit. 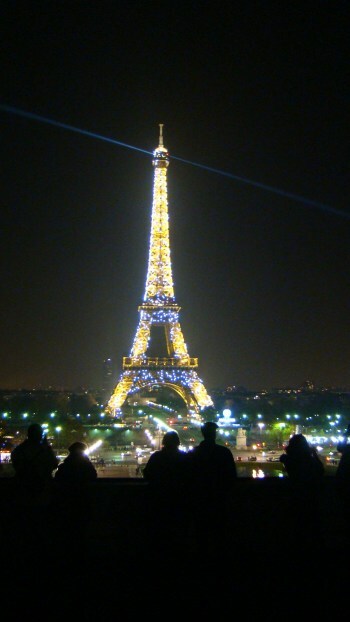 – See it at night from Trocadero- the view is breathtaking. – Grab a crepe and warm espresso from the stand directly across the street (NW,) while you stare up at its magnificence. – Want to go up the tower? Get there EARLY in the morning. – Just because you have the opp to buy more than 1 train ticket at the machines… keep in mind you only have AN HOUR to use them…if you’ll be jumping on and off the metro throughout the day get a 10 trip pass instead- not 10 individual tickets. Follow? – Great ad space. 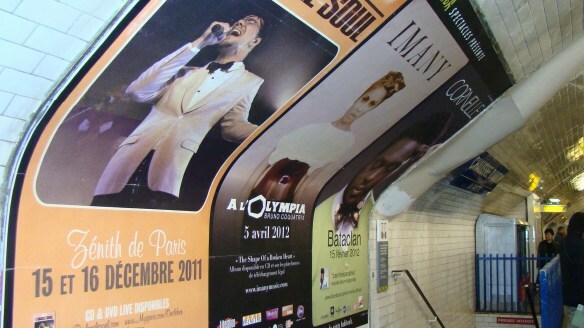 They use almost all of the available tunnel walls for ads. – Openings metro doors: try to get behind a local because there are at least 3 different ways to open the metro doors and it’s not obvious. Latches include: knobs, pushing buttons, automatic open, latches — it’s so unnecessary. 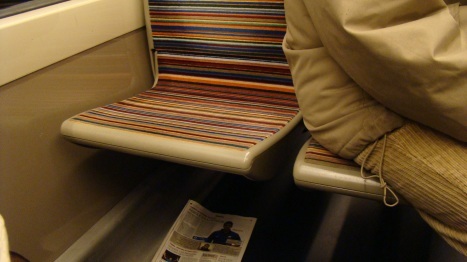 – The metro’s are really old, and should really be reupholstered! 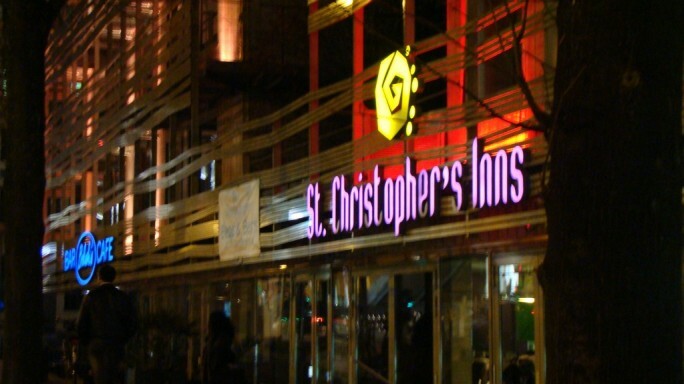 – Stay at St. Christopher’s Inn in Crimee. They are VERY helpful, and you’re around the corner from the Metro, about 10-15 minutes from all the major sites. Plan on getting to Paris at night, and/or getting there early in the AM, through the night. Point is… the Eiffle Tower…is magical at night. – Start your day by grabbing a quick bite around St Christopher’s, or even AT the hostel (coffee, baguette’s, fruit etc.) Get a map/directions from the Inn, ask them any questions, and just head to the Metro. Start West to Montmartre and the Sacre Coeur Basilica- absolutely breathtaking view of the city. Religious? Go in, light a candle, and say a prayer. – Facing the cathedral, head left towards Place du Tertre and the Montmartre cemetery. The street painters should be set up and painting… and all the markets should be open for business. You can buy some great canvas paintings, so spend some time exploring. – Next, head South by Metro to the Arc d’ Triumph- which as you’ll learn, is SMACK in the middle of a very busy roundabout, with no traffic lights. I learned, AFTER THE FACT, that there’s an underground passage to get there and you CAN walk to the top of it for yet another breathtaking view. Find the passage. 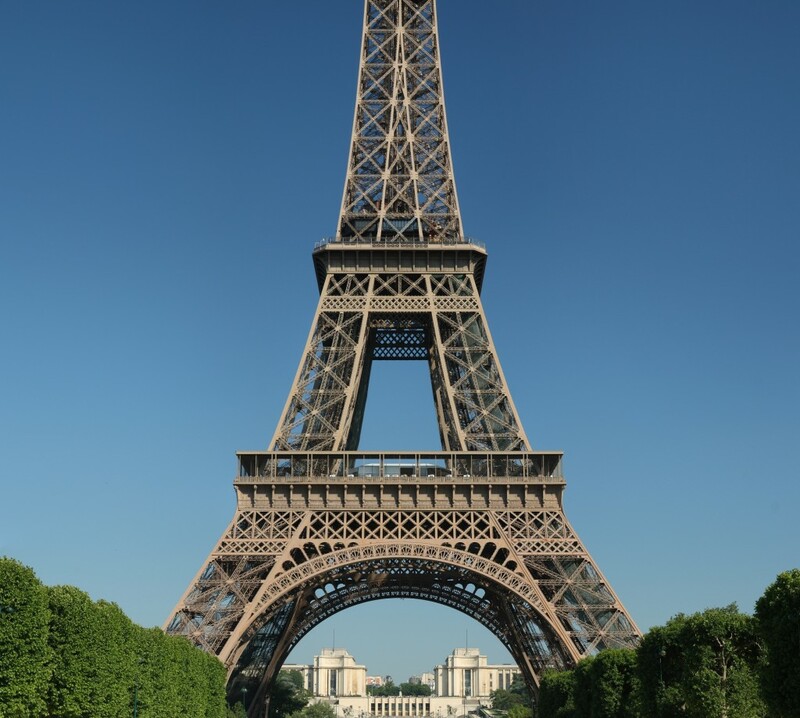 – You can take a 15-20 minute walk from the Arc to the Eiffel Tower. Great views of parts of the tower on your way too, between buildings and such- queue photog skills…camera OUT! – Most I’d recommend in the Latin Quarter (as I’ve been told- and didn’t get to do,) is grab food and a glass of wine at a café and people watch. Once you’re energized, take a walk north (uphill) toward the Pantheon and Town Hall of the Latin Quarter. The square is like stepping back in time; beautiful architecture. – Make your way back down towards the Seine to the Notre Dame by crossing the Pont de l’Archevêché, the narrowest bridge in Paris and the love bridge. 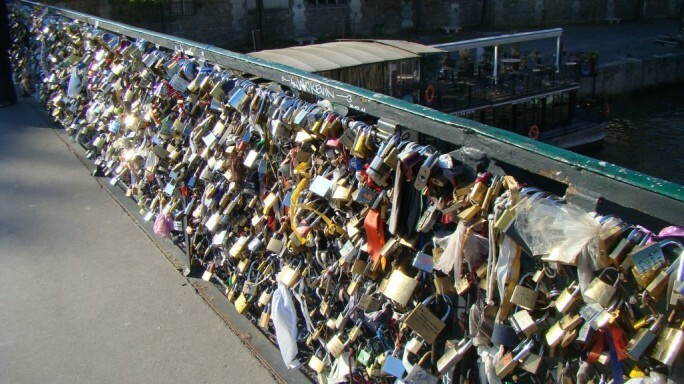 Lovers write their names on the locks, hook to the bridge, and throw the key in the Seine. There are several bridges like this around the world– usually the oldest or most notable bridge in the city. Hooking your love on the bridge symbolizes that your love too can withstand time. 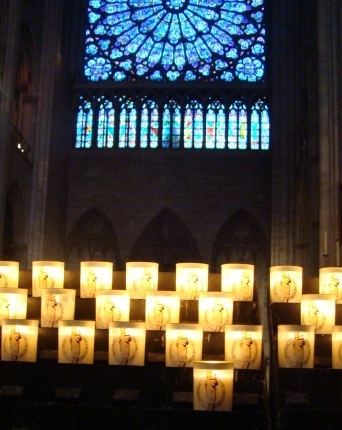 – For the religious, get on in to Notre Dame and light a candle, say a prayer. It’s an amazing cathedral. Before you leave the island, walk around a bit; there are some really cute stores and restaurants. Have you had a one-day stand in Paris? Have you gone about the 24 hours differently? Never been, and excited to get moving to Paris? Share below!